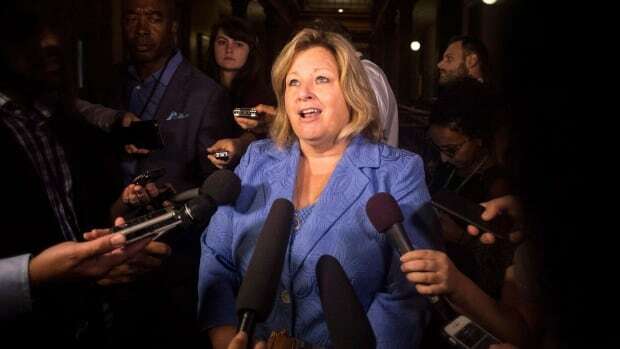 Ontario’s education minister has announced a number of new initiatives to help school boards handle an expected increase in students on the autism spectrum, as they transition into the school system under the Progressive Conservatives’ policy changes. Lisa Thompson, MPP for Huron-Bruce, made the announcement in downtown Ottawa Monday morning. It comes after criticism from education groups, including Ottawa’s largest school board, that the PC government’s changes to autism policy would overburden schools with students currently getting intensive therapy outside the classroom. The government is aiming to clear a wait list of 23,000 kids by spreading an existing pot of money to all children diagnosed with autism, rather than full funding treatment. On Monday, Thompson’s department reiterated an August 2018 promise to give school boards an average of $ 12,300 for each new student on the autism spectrum who enters the school system, while also expanding after-school programs and creating an autism-specific teacher training course. “These supports will start absolutely immediately. As you know, more children and youth with autism will begin entering schools on a full-time basis later this spring,” said Thompson. Harvey Bischof, president of the Ontario Secondary School Teachers’ Federation, was critical of the announcement. “The purportedly ‘new’ per-student funding announced this morning by the Minister of Education for students with autism entering the school system in the remaining months of this year is the same funding that boards already receive for each new student at the beginning of a school year,” he said in a statement posted on the organization’s Facebook page. The province said after-school skills development programs will be expanded as well, and teachers will get more training, too. It also plans to fully subsidize autism-specific courses and double funding to the Geneva Centre for Autism, which provides online training for educators.